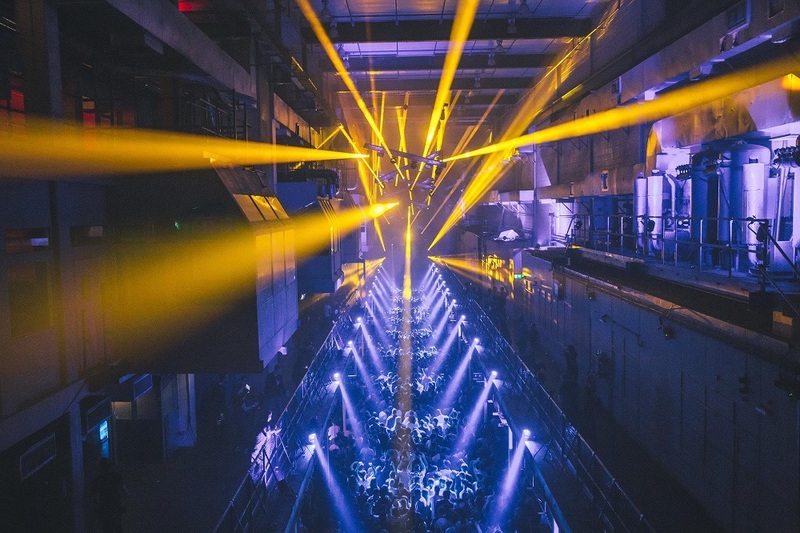 Printworks London kicked off Issue 002 of its in-house music series with an opening party on Saturday, October 7th. 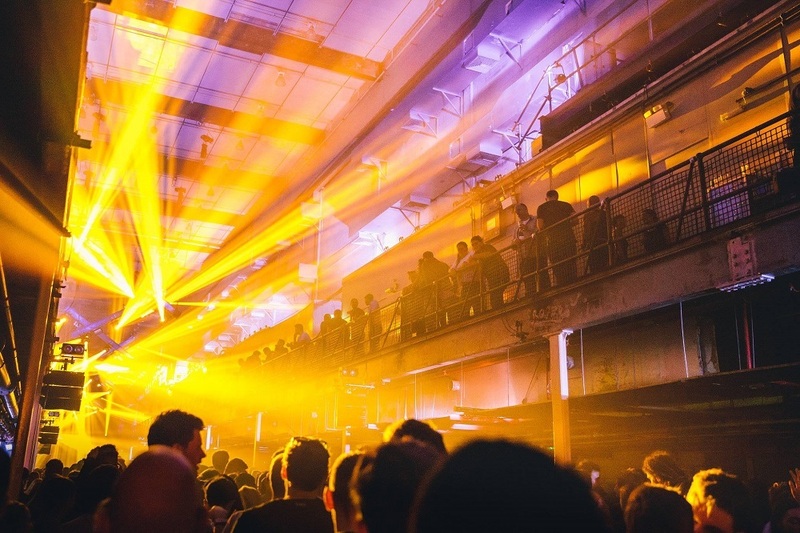 Maceo Plex, Rødhåd, Daniel Avery, Vril, Monoloc, Charlotte De Witte and Mind Against were among the acts playing across the venue’s two rooms, with a return of the lighting which had won praise plus additions to the layout such as balcony access. Mike Barnard was there. 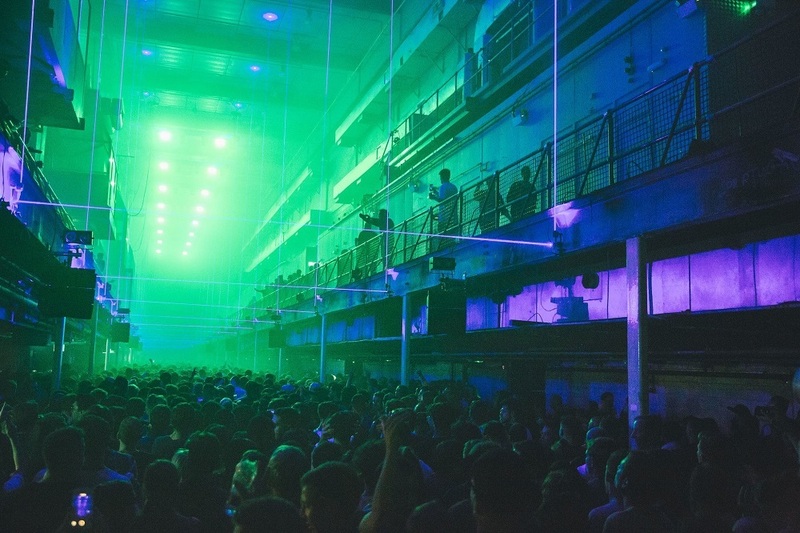 An accomplished reboot for Printworks London. 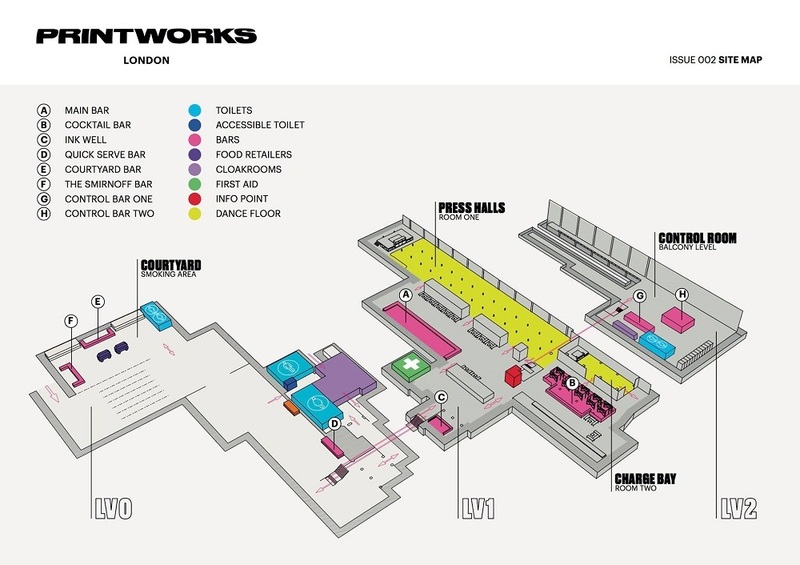 After perusing the site map for Issue 002 with some interest, it was clear changes were afoot to the way Printworks London would flow. The addition of VIP-style passes to enter the Control Room with exclusive seating, bars, lockers, toilets together with coveted balcony access was the most eye-catching change. However, the ground floor tweaks would have the biggest impact in terms of the Printworks experience. Sadly we couldn’t get to the venue until just after 4pm meaning too late for a too early Charlotte de Witte opening set in the Press Halls and narrowly missed Italian duo Mind Against too. Thankfully, we made it in time to catch almost all of Vril’s shimmering live techno, but not before finding our bearings. Entry to the Printworks has been moved to the opposite side of the building, meaning you now pass through security in the cavernous space to the left of the old entry hall. 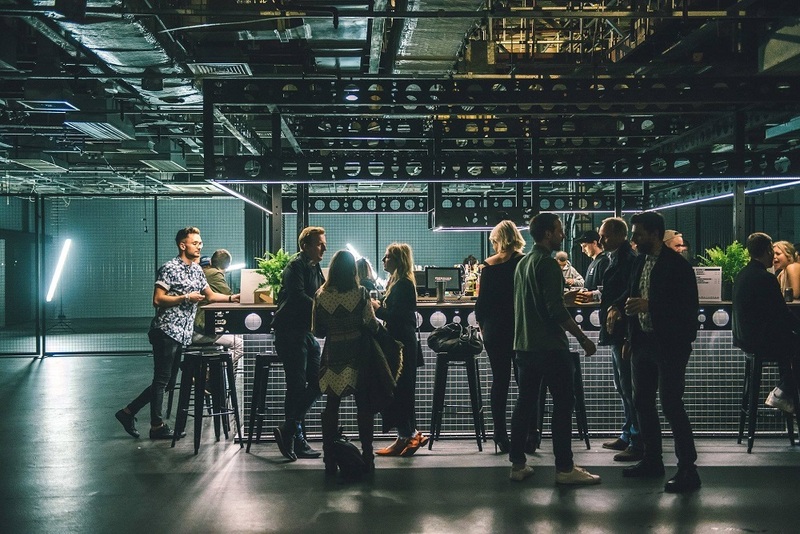 Turning left leads to an enlarged smoking and food area with additional bars - and of course the famous espresso martini bar - and you’ll walk right past the area on the way in too, giving an early glimpse into the crowd already enjoying themselves inside. We noted a real buzz about the place. Turning right once in take you through to a second large chamber where the gent’s toilets have been relocated as well as a much larger ‘quick serve’ bar that is far more fit-for-purpose than the Issue 001 incarnation. Previously there always seemed to be a long queue as it tried to cope with those (aka: practically everyone) keen to seize on the first opportunity to get a drink. Through the doorway leads to the old entrance hall which now only offers a path to the lockers and ladies toilets via the old corridor while its up the stairs to emerge into the main club space. All this makes for a far more impressive introduction to the Printworks experience. 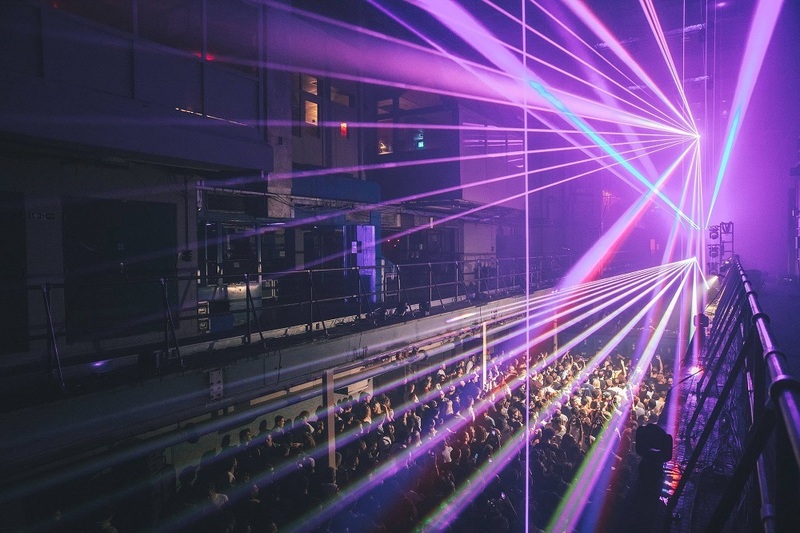 The Press Halls dancefloor was already very busy, with the Printworks faithful packing into the central corridor between the overhanging balconies so they could get a view of the lights and lasers, the line of people reaching all the way back to the sound desk. We weaved through the crowd as Vril’s embracing techno purred through the speakers - many of which had been shifted from beneath the balcony to above the audience, facing downwards into the crowd. The result was a much crisper, consistent volume throughout the halls. Vril’s set sounded all the better for it as the Giegling artist presented a set which evolved from a pacy welcome to an aggressive beast by the time Daniel Avery got on the decks. Before getting into Avery’s set we ducked into the Charge Bay to catch the end of Bella Sarris, and noted the Void sound system had been given the love it needed to be become a vibrant second room. During Issue 001 it had often been lacking in atmosphere with muddy sound and few willing to commit much time in there. This resulted in in a thin-on-the-ground audience for much of the days we we attended, but today it was packed out with an energetic crowd. We noted we must return later. First, we were eager to see how the view from the balcony looked, as well as see what was happening in the new Control Room. A wise one-way system is in place to prevent blockages on what are quite narrow stairwells to the mezzanine, and as you emerge onto the balcony you can’t help but smile when you see the view down the Press Halls as bodies bob away below and the lasers blast past your head. It’s nice to be given the opportunity to take advantage of this perspective of the Printworks, and we’d a selection of the best tunes from Avery’s full pelt techno set which took in Slam’s ‘Vapour’ for a touch of modernist old school. Next, we’d head to the Control Room for a few drinks, but found it an odd experience quite unlike the rest of the Printworks. Entry from the balcony means its only open to those willing to pay for access, and a twisting black corridor leads you into what looks and feels like a completely different venue - it could almost be another club let alone a room three. A square bar with stools, a long bar, plenty of seating, extra toilets and lockers make it a comfy area to chill in, however the Press Halls music is channelled through in tinny fashion on speakers surely made for better quality. It’s a missed opportunity. Put in some beefy speakers, and perhaps (when available) get the live video feed projected onto one of the walls, and this would become a more legitimate space to hang out in. As it was, we were desperate to get back into the action, and were glad we did. 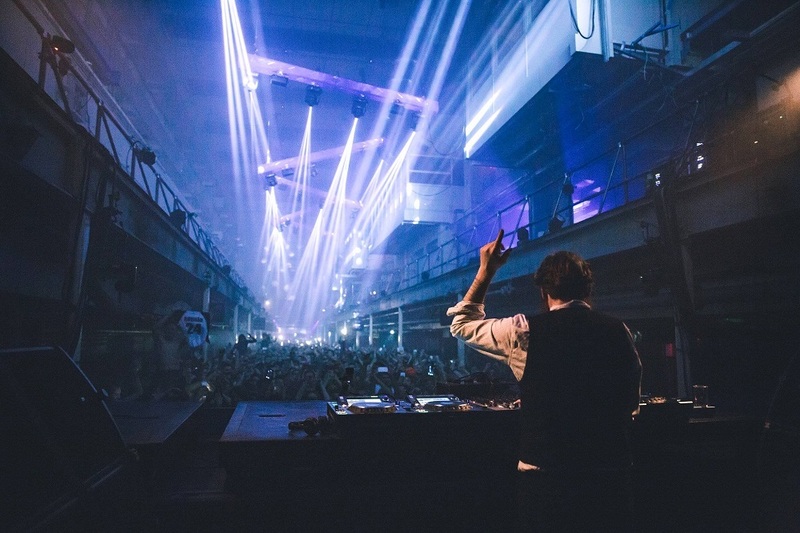 Architectural treated the still-packed Charge Bay to a hugely engaging set which was jacked up by the crowd, then we immersed ourselves in Rødhåd’s pummelling, Berlin-brand techno in the Press Halls with an increasingly excitable crowd. The one time we nipped out the front for a smoke felt a bit of a mission, though we were buoyed by the chance to see Monoloc on the improved Charge Bay sound system as we headed back in. 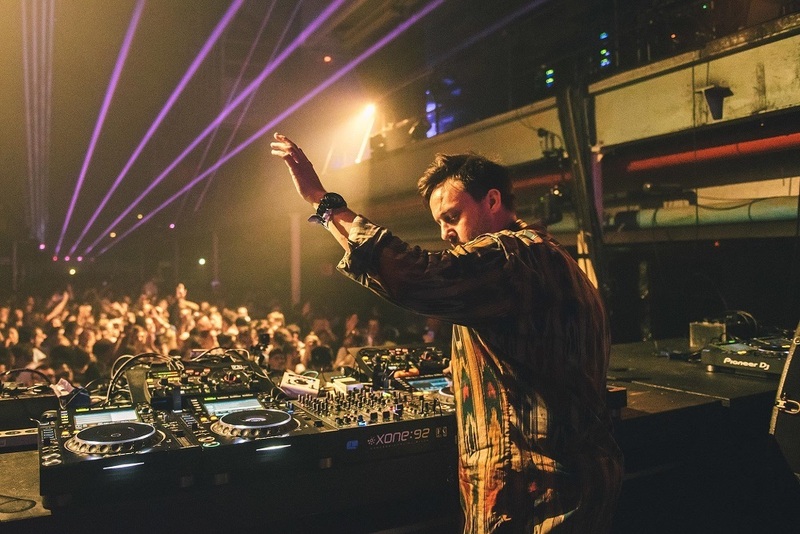 Sadly, despite a clutch of excellent releases on labels such as CLR, Hostflush and Dystopian, he couldn’t maintain the positive vibe that had flowed before him resulting in a thinning audience, save the dedicated fans or those keen to escape the now brimming Press Halls where Maceo Plex was playing the final two hours. When we left, we reflected we were glad to have the Printworks back open with its constantly-shifting lighting rigs and unique set up. It’s still on-course to estabishing itself as a much-loved party space, if not already owning that status, particularly with the improvements to the sound in both rooms. Some tweaks are needed to help the flow of people around though - it feels a little too crowded on the dancefloor when everyone wants to be able to see the light show rather than be beneath the balcony, and there is scope to make the Control Room feel more connected to the rooms its adjoins. 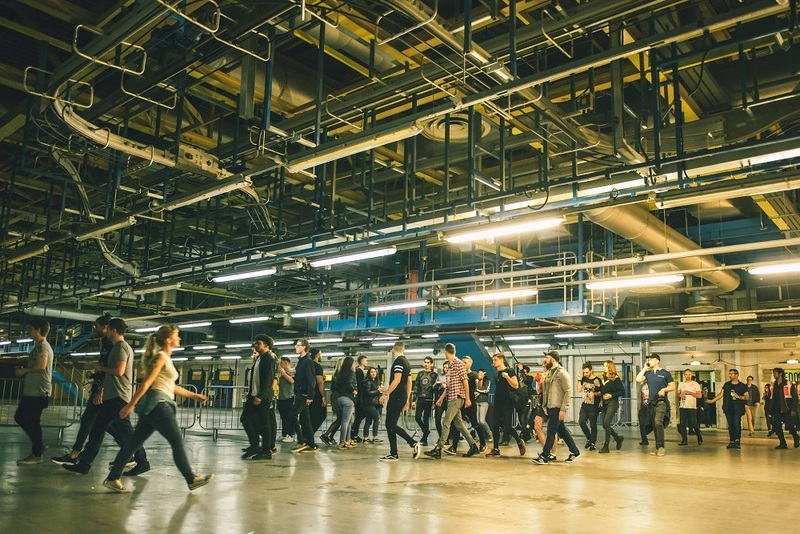 As an opening party, this was an accomplished reboot for Printworks London. For line-ups and tickets to the rest of Issue 002 go to printworkslondon.co.uk.